Adding private lessons as a supplement to group lessons are an excellent way to advance quicker in the sport. Lessons are taught on a one on one basis where the skater has the full attention of their coach. Private coaches can create a long term plan for their skaters, monitor and track their progress, and provide in-depth advice and knowledge about the sport. Skaters interested in competing and or testing must have a private lesson coach to prepare them and decide on appropriate leveling. Skaters may start taking private lessons at any time, but are required to also be enrolled in any Learn to Skate group class if their level is free skate 6 or below. Once a skater passes free skate 6, she/he can take private lessons without being enrolled in a group lesson. Once skaters reach Basic 4, it’s highly recommended that they hire a private coach. Skaters should contact the coach that they are interested in taking lessons from. Most head coaches that teach group lessons are eligible to teach private lessons, but some are still in training and are ineligible. Coaches’ qualifications, availability, and rates all vary, so inquire with each coach you may be interested in. 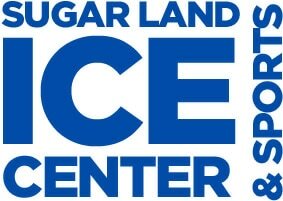 Skaters/parents may approach instructors directly and inquire about private lessons, or contact the skating director (skating@sugarlandice.com) for coach recommendations. Skaters and coaches arrange the time to meet to have the lessons and arrange frequency and duration of lessons. Coaches at the rink are independent contractors, so the charge for ice time is SEPARATE from the coach’s charge. The starting rate for private instruction is $60/hour. Coaches set their own rates as long as it abides by this minimum charge. The fee for the ice session is to be paid to the rink, while the coach's charge is to be given directly to the coach. Skaters may skate the entire session that they pay for, not just the lesson with the coach. A skater’s primary private lesson coach’s recommendations for skating levels takes precedent over group lesson instructor’s recommendations in Learn to Skate classes. Any questions regarding group lesson level placement should be directed to the private lesson coach. Coaches are responsible for approving U.S. Figure Skating testing and competitions for the skater. Any time a skater would like to participate in tests or competitions, the skater is to consult the coach for approvals and level placement. Sugar Land Ice and Sports Center has a clear code of ethics for coaches. If a skater wants to change coaches or take additional lessons from another coach, the current coach must be notified first before contacting the new coach. Discussion of lessons may not take place with a new coach until the business relationship with the current coach is dissolved or if open communication and awareness of the situation is known by all.